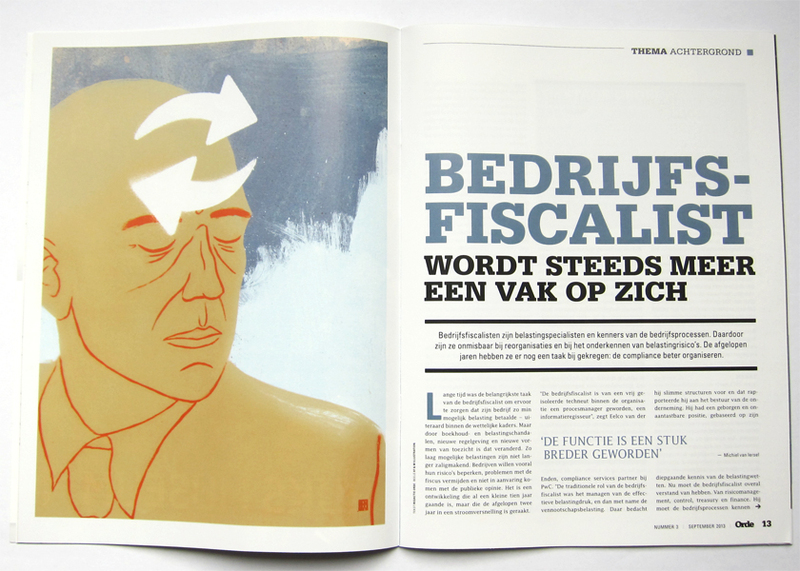 Orde, a dutch magazine for tax experts, asked us to make an illustration for their cover story. 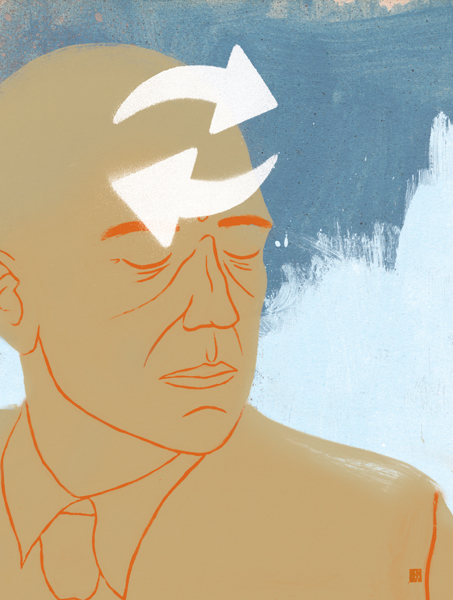 The piece was about the changing world of corporate tax advice, and how the tax experts will have to refresh their way of thinking. Xiao Feng (’86) & Mathieu (’81) graduated from Minerva, School of Arts in 2009. Ever since they’ve been working as an illustration duo from their studio/home in Groningen… Show more. Send a message directly to XF&M . Xiao Feng (’86) & Mathieu (’81) graduated from Minerva, School of Arts in 2009. Ever since they’ve been working as an illustration duo from their studio/home in Groningen (the Netherlands). Their illustrations are build up with different layers of pen and paper.. And some paint, pencils, crayon, ink, markers.. and maybe a touch of spraypaint…And finally the layers are digitally combined. The both of them working together on one illustration results in a merge of their two styles and creates a flexible and fast process. Clients: ABN AMRO Relevant, Adontech, BDO Anders, Communicatie, Digital Life, Drawing Dreams Foundation, FNV magazine, Groninger Forum, Hanzemag, Ink magazine, Leyster Coffee bar, New Sientist (nl), NWT Magazine, NRC, Maarten, MediaPartners Group, Monte Media, OCSW Groningen, Orde, Psychologie Magazine, Rabobank Dichterbij, Radboud magazine, Soul Media, Subplot Studio, Tijdschrift voor Marketing, Universiteitsmuseum Groningen, UWV, the City of Veendam, Wielrenblad and Zij aan Zij.